Veteran editor journalist and former member of Lok Sabha, India’s House of the People. Inder Jit was trained as a journalist initially on the Hindustan Times and thereafter on the Daily Telegraph and The Times, London in 1952. He was the political and parliamentary correspondent of The Times of India in New Delhi as also its Pakistan Correspondent before he joined INFA as its Editor in 1962. His weekly column on national affairs entitled “Political Diary”, prior to his election to India’s Parliament was carried by scores of newspapers, including The Economic Times and The Tribune, all over India. He has represented India four times as a delegate to the UN General Assembly and to the Human Rights Commission. Trained on the Indian Express in 1975-76, worked as Senior Reporter and Feature Editor, Hindustan Times “Morning Echo”, Poonam has been a versatile journalist for over three decades. Parliament and political reporting is her forte. Her political column, which she has been writing on a regular and uninterrupted basis for the past 18 years appears in 30 regional and vernacular dailies. She is a gold medalist and a recipient of the much-coveted Commonwealth Harry Britain Fellowship. She has accompanied various Presidents, Vice-presidents and Prime Ministers on their foreign visits. Poonam has attended numerous International conferences such as the NAM, G-8 and G 15, Rio Summit etc. Apart from being a columnist she is a TV show host and a member of the Media advisory Committee of the House of People. A senior journalist for over two decades, Sabina has a diploma in journalism from the Indian Institute of Mass Communication and thereafter trained with the Times of India group. She has worked as a Sr Sub-Editor, Principal Correspondent and a Special Correspondent with Times of India, Delhi office. She served as a Member of the Press Council of India for two terms (1998-2004) and is a dynamic activist viz promoting freedom of the press and journalists’ rights. She is on the board of various journalist organizations including the Indian Journalists’ Union, India, and Brussels-based International Federation of Journalists. She enjoys writing primarily on social and political issues. He joined the Company in 1963 as Junior Accountant. He is a B Com (Hons) graduate, from Delhi University. He joined the company 14 years ago. He runs the office and ensures that all needs are taken care of. He is an Arts graduate from Delhi University, with professional training and diploma in Computers. He is bilingual, fluent in both English and Hindi; has work experience of past five years. He is a B Com graduate from Delhi University and persuing LLB. Has been working for the past 6 years. 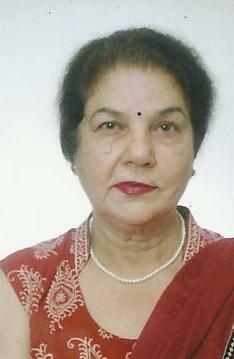 Is former Member Secretary-in-Charge and Director (Research), Indian Council of Social Science Research. He was also Executive Secretary, Association Asian Service Science Research Councils. He is a specialist in Russian economy and has authored eight books and numerous research papers on Russian Economy. He has been writing for the past three decades. Holds a Graduate Degree in Life Sciences. Was formerly with Indian Space Research Organization (ISRO) for a decade, mainly dealing with drafting and editing technical literature, documenting aerospace journals and preparing text for publicity material. As a full-time science and technology writer he has contributed over 10,000 articles on space technology, genetic engineering, aeronautics and aviation, computers and communications, environment and development as well as medicine and agriculture. Is an Associate Professor at the School of International Studies, Jawaharlal Nehru University, Delhi; Has been a Research Fellow at the Indian Institute for Defence Studies and Analyses. A Fulbright Scholar at the Univ of Delaware, US, Commonwealth Scholar at Univ of London, Foreign Policy Fellow at Univ of Maryland, US, Salzburg Seminar Fellow in Austria and a Visiting Fellow at Australian Defence Studies Centre, Canberra. He frequently give lectures at Society for International Law and Diplomacy, National Defence College, Army War College, College of Naval Warfare, and various Academic Staff Colleges in India. Has several academic publications in India and abroad to his credit, authored two books, contributed chapters to over 20 edited volumes and published over 50 articles in reputed national and international journals. He is a regular contributor on international affairs. Is a senior journalist, political commentator and a news analyst based in Chennai. A Jefferson fellow at Hawaii (2003), he has a doctoral degree from School of International Studies, Jawaharlal Nehru University, Delhi. He has authored two books, written research papers, chapters to edited volumes and is also a documentary film maker. He is founder and moderator of South Asia Contact Group, a discussion forum on the Internet. A former bureaucrat, he served as Director, Central Vigilance & Jt Secretary, Govt of India, Chairman, Drafting Committee of UN Disarmament Conference on Biological Weapons, Geneva, among other postings. Following retirement as Principal Secretary, Govt of West Bengal, he did MICA and FICA. Currently he is Secretary General, Institute of Directors (an NGO) and Arbitrator, Member, Board of Governors, International Academy of Law, headed by former CJI, Justice Bhagwati. A post-graduate from Delhi Univ, he joined the IPS and stood first in all-India, 1966 and joined the IAS in 1967. He is an LLB from Delhi Univ and has a Ph.D in Urban Planning from NIUA, Delhi & appointed as Associate Prof (Urban & Environmental Planning). Is UNESCO Peace Chair & Head of the Department of Geopolitics at Manipal University, India's elite international university,with campuses in UAE,Malaysia,Seychelles,Nepal and other locations. Previously,he was Coordinating Editor of the Times of India and earlier, Editor of the Mathrubhumi group of publications. He is on the Advisory Board of the India-China-America Institute at Atlanta (US), and has lectured at universities across the world,including Peking and Fudan universities in China, University of Miami and University of Georgia in the US and the European Peace University in Austria. A soldier-turned-economist and writer, Vasudeva is an MBA in Intl Trade. He did a Ph.D. in “World Trade Organisation: Its Implications on Selected Sectors of Indian Economy–Agriculture & Textiles & Clothing.” An expert panelist in Intellectual Property Rights, Natl Institute of Sc, Communication & Information Resources, CSIR, he is visiting Prof, Business School, Punjab Univ, Institute of Mgmnt Tech, Ghaziabad, MG State Institute of Public Admn in Punjab and Natl Defence College, Delhi. He is former member, State Consumer Disputes Redressal Commission, Chandigarh, President, Chandigarh Mgmnt Association, Principal-Dir, College of Communication & Mgmnt (Evening Studies), Bharatiya Vidya Bhavan, Chandigarh, Sr Professor, ICFAI Business School, Chandigarh. Author of five books, hundreds of research papers, articles and book reviews, he writes for us on defence matters. Qualified from the Defence Services Staff College, Wellington, Pahwa attended the Higher Command Course at Army War College, Mhow. He was commissioned into Regiment of Artillery, Indian Army in 1959 and took part in the 1962 (China) and 1971 (Pakistan) wars. In a service period of 38 years, he held important command, staff and instructional appointments and retired as Lt General, 1996. Pahwa raised the Army Air Defence Corps, 1994, was its first Director General. He is recipient of Param Vashishta Sewa Medal (PVSM), 1966. Pahwa has authored “Command and Control of Indian Nuclear Forces’ in 2002 and has been writing for us on defence and security related issues. Dhurjati Mukherjee is a Kolkata-based journalist and author, who has been writing on socio-economic, developmental and environmental issues. A Post Graduate (Eco) from Delhi University, he has held several editorial posts: Assistant Editor for Gandhi Peace Foundation, Evening Brief, Uttar Banga Sambad & Investment Preview; Consulting Editor & Sr. Research Associate (Hony. ), Christian Institute for Study of Religion & Society; was Administrative (Legal) & Vigilance Officer, Geological Survey of India, Eastern Region. Mukherjee was Jt. Secy & Research Coordinator, State Habitat & Environment Forum (SHEF), Jt Coordinator, Shelter for Homeless National Forum and is Sr. Consultant & Research Coordinator, Institute for Development Education & Action (IDEA) since 2000; An avid writer, he has edited a collection of essays, papers & authored books, including: Youth Change and Challenge: Indian Context; The Towering Spirit: Gandhian Relevance Assessed; Calcutta Slums: Problems & Challenges; Education in India Today; Dedication to Development, Housing For the Urban Poor; Understanding Environment: Challenges for the Future, Towards An Action Programme on Habitat.